Another interesting kick is set to hit the market it will likely get a lot of attention because of its eye-catching colorway. Rumored for a December 1 release, Jordan Brand confirmed that the Air Jordan 1 Retro High “Gucci” edition will be released on December 10. 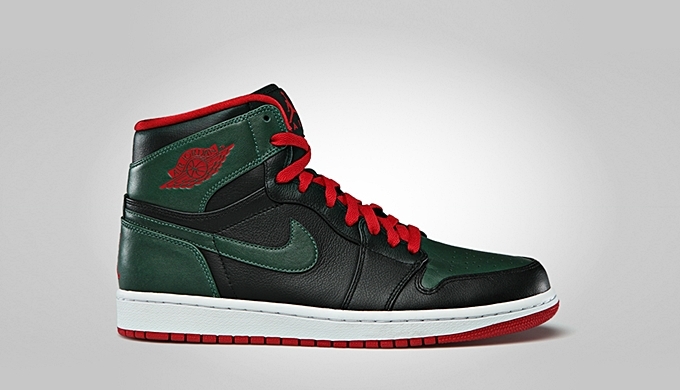 Featuring a Black/Gym Red-Gorge Green-White color combination, this silhouette definitely suits your 2012 Holiday Season attires. The kicks sports a black and gorge green dominated upper part paired with gym red lace, outsole, and branding plus a white midsole. This kick will be available on a limited basis so make sure to grab your own pair once it hit the market!